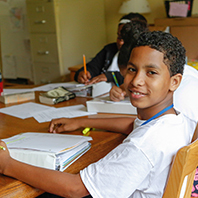 High expectations are the foundation of The Steppingstone Academy’s success. Scholars log approximately 100 additional days of school during their first 14 months in the program. Steppingstone supplements Scholars’ regular schoolwork by identifying and addressing academic weaknesses and building on academic strengths. It also encourages children to take greater responsibility for their learning process, and helps them take risks and challenge the world around them. In addition to preparing Scholars academically, The Steppingstone Academy also readies Scholars for the social and cultural transition they are about to make, by giving them the opportunity to discuss issues such as identity development and responsible decision-making within the curriculum. When Scholars graduate from the 14-month program, they are prepared to succeed both academically and socially at their new schools. 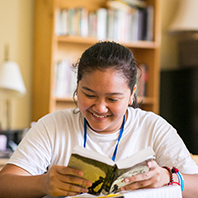 While other schoolchildren are on vacation, Scholars spend five days a week from 8:30 a.m. to 3:30 p.m. working to supplement and enrich all they have learned during their previous academic years. 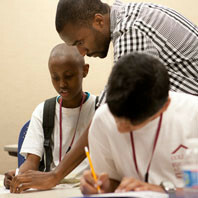 Summer Session I introduces fifth- and sixth-grade Scholars to the rigors and standards of Steppingstone work. In addition to academic subjects, Scholars take classes such as “Study Skills” and “aPlay,” a physical education program based on “Project Adventure.” As part of the social-emotional curriculum, the Scholars also attend assemblies, take part in elective activities, and enjoy a trip to an amusement park at the end of the summer. School Year Session runs Wednesdays and Saturdays from September to May. 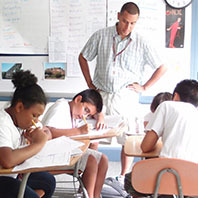 Classes focus on math, English, and preparing for the Independent School Entrance Exam (ISEE). 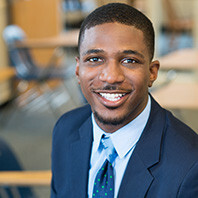 Since an ISEE score plays a significant role in independent and public exam school admission, The Steppingstone Academy’s curriculum, created in conjunction with Summit and Kaplan, equips students with useful test-taking skills so each Scholar enters the testing room prepared and confident. In order to further prepare Scholars, Summer Session II builds on the skills and continues the study of subjects introduced during the previous summer and academic year. Scholars also begin learning Latin, which many of them will study in their new schools. The second summer culminates with Commencement, a ceremony where Scholars graduate from the initial 14-month program, and are paired with an Advisor in Support Services, where they continue to receive guidance and support throughout middle school and high school. 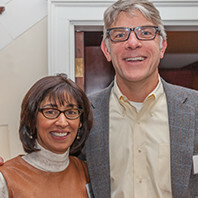 Once in college, they work closely with Steppingstone’s College Services department.